If you’ve ever asked my opinion on where to go on a Seattle vacation, the Seattle Waterfront is always at the top of my list. 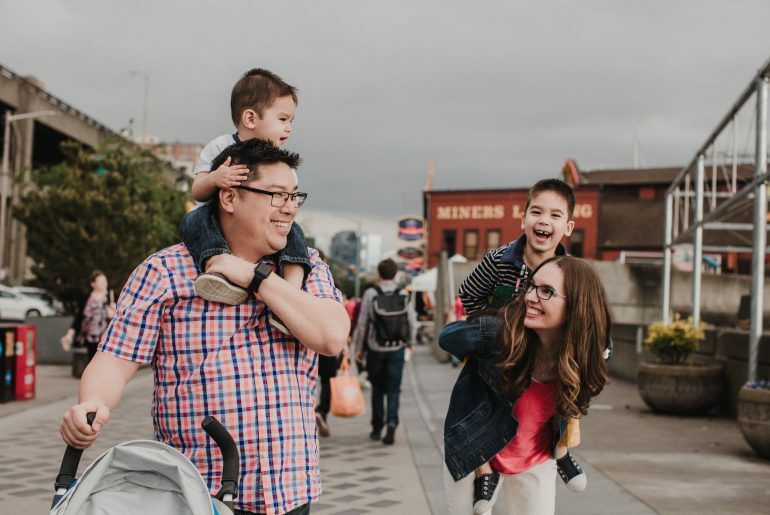 I mean, I wrote a whole post about exploring Pier 57 with kids last year! 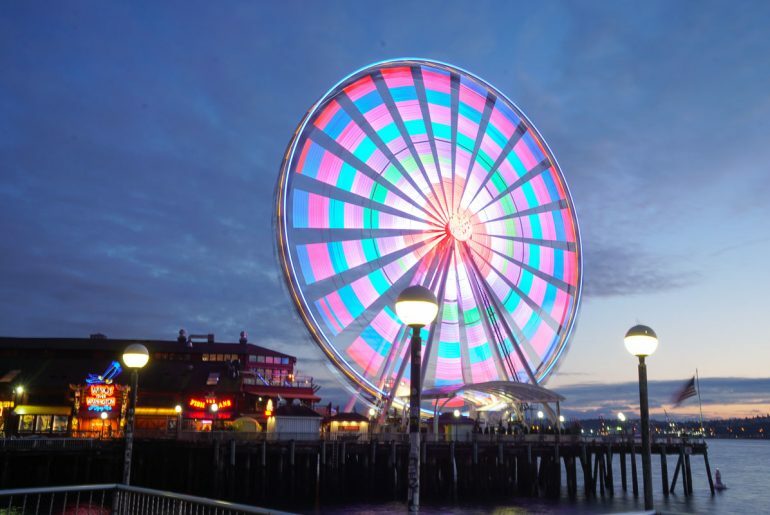 So, it should come as no surprise that it’s also an unforgettable date night in Seattle! Recently, my family had the opportunity to do a private Seattle Aquarium behind the scenes tour. Let me tell you: It was fantastic and my kids are begging to go back! 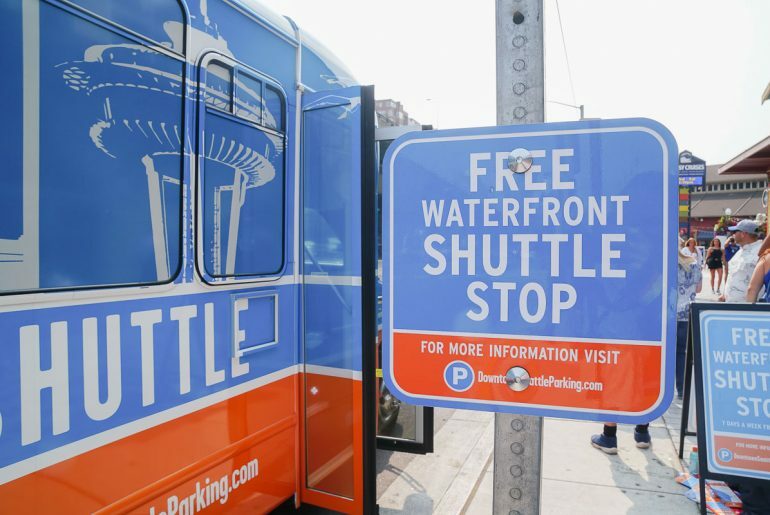 Have you heard about the Seattle Waterfront Shuttle? It’s the newest Seattle tour bus (it just launched 3 weeks ago) and it’s completely free! It’s available 7 days a week from 10am-8pm this summer/fall and stops at 9 attractions near downtown Seattle and along Seattle’s waterfront. 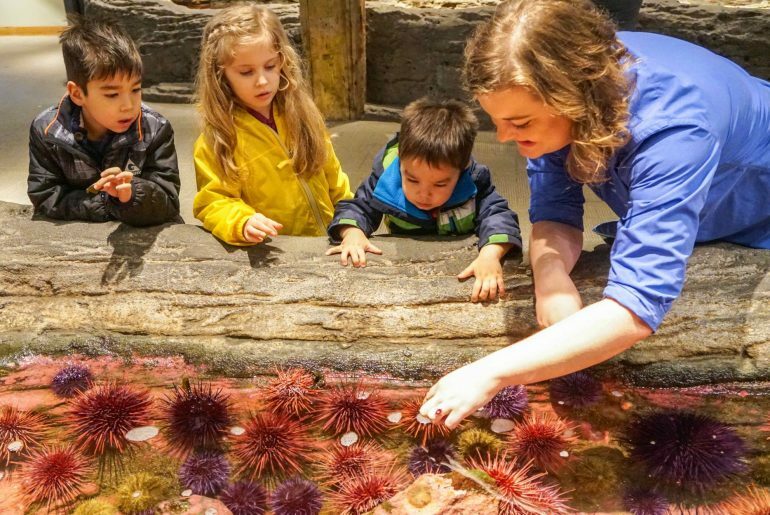 Whether you are visiting Seattle with kids on a family vacation, or you are a local Seattle family, Pier 57 is the ultimate spot for family fun in Seattle.